Vortex Classic I3-2100, 4GB DDR3 1333 , 500gb HDD configured and optimisd for Ableton Live software. The Vortex Classic is based around the Asus P8H61-V Motherboard Supporting the 2nd Generation Intel Core I3 , I5 and I7 cpu's. It can take advantage of the built in Intel Graphics of the 2nd Gen Cpu's to help reduce costs and heat in the system. Configured and optimsed for use with Ableton Live software you will be able to start using your machine as soon as you open the box. We can supply your new Ableton LIVE or upgrade your existing version. Or, if you already have the current version we can install and configure it ready for use. You have a wide choice of upgrade options so this system can cater for all levels of users. If you upgrade the Cpu to a quad core we recommend choosing the Corsair A70 cpu cooler to help keep the system cool and maintain the low acoustics. Near silent operation and prepared to take on powerful hardware, the Cooler Master Silencio is able to keep high-end setups running cool and quiet. Sound proofing on both side panels assist in vastly reducing noise levels. A sleek mirror finish front panel and clean lines present a minimalist design aesthetic that speaks to its silent interior. The benefits of elegance and silence, combined with the functionality of built in SuperSpeed USB 3.0, a multifunction SD card reader, and 3.5" X-dock HDD hotswap all make the Silencio a giant among its kind. Superfast Intel Processor with 4 cores 8 threads with a standard clock speed of 3.6GHz. Requires 64bit windows to use all 8gb -memory clocks at 1600Mhz with i7 processors! 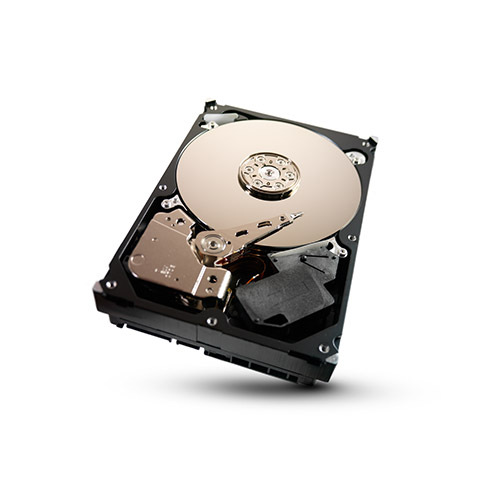 DVD-RW Dual Layer DVD-+R 18x SATA Liteon DVD-RW upto 24x write speed. Sony or LG Blu-Ray Re-Writer store 25GB on a disc perfect for backup and archive of projects. Connect a large screen for blu-ray playback using the included powerdvd software. Logitech Keyboard and Mouse Overview Logitech MK120 Keyboard & Mouse - USB Wired Keyboard - English (UK) - USB Wired Mouse - Optical - 1000 dpi - 3 Button Marketing Information A durable duo that brings comfort, style and simplicity together. Feel-good typing Your hands will enjoy the low-profile, whisper-quiet keys and standard layout with full-size F-keys and number pad. Rugged good looks The slim keyboard isn't just sleek-it's tough with a spill-resistant design, sturdy tilt legs and durable keys. Smooth ride You'll be moving along smoothly with a precise, high-definition optical mouse to help you get around. Logitech MK520 Keyboard & Mouse Overview Logitech MK520 Keyboard & Mouse - USB Wireless RF Keyboard - English (UK) - USB Wireless RF Mouse - Laser - 3 Button Marketing Information A sleek keyboard-and-mouse combo that puts convenience and control comfortably at your fingertips. Reliable Wireless You can say goodbye to cords, delays, dropouts, and interference with Logitech Advanced 2.4 GHz connectivity. Power-packed The mouse and keyboard are so energy efficient you just might forget they use batteries at all. Type right With softly rounded keys, a full-size layout, and a palm rest, this keyboard treats your hands right. Logitech MK710 Keyboard & Mouse Overview Logitech MK710 Keyboard & Mouse - USB Wireless RF Keyboard - English (UK) - USB Wireless RF Mouse - Laser Marketing Information Where comfort and productivity go hand-in-hand. With Logitech Incurve keys and a cushioned palm rest, this low-profile keyboard almost feels like it's custom-made for you. Logitech Unifying receiver the tiny, wireless receiver that stays in your laptop and lets you add devices as you need them. Pci Express Firewire Card featuring Texas Instruments Chipset which is compatible with most audio hardware. We can install your own software , plugins or soundcards and test before shipping your pc. Products will be updated and authorised too. Frequency response AD/DA, -1 dB: 1 Hz - 80 kHz (sf 192 kHz) OS Support Windows XP (from SP2), Vista, Vista 64, 7: Full ASIO multi-client operation of WDM and ASIO 2.0. WDM (DirectSound) with stereo and multi-Channel support. Mac OS X (10.5 or higher) Intel: Core Audio, Core MIDI. Leading the CI series of interface controllers, the CI2+ USB-powered studio comes with its dedicated Cubase AI 6 and WaveLab LE 7 audio workstation. The holistic approach that Steinberg provides in form of its Advanced Integration technology allows this smart system to easily assist entry-level to professional musicians and producers with recording and producing music in first-class quality. Liquid Saffire 56 is Focusrite's brand new flagship 2U multi-channel firewire audio interface. Focusrite's Liquid technology combines with Saffire PRO firewire audio interfacing to give you a host of pre-amp flavours,software integration,excellent routing flexibility and future-proof,rock-solid driver stability. The Saffire Liquid 56 combines flexible analogue pre-amps with cutting-edge dynamic convolution DSP. Each of the two Liquid Pre-amps lets you choose from ten different classic pre-amp emulations, with an eleventh 'flat' option. The Liquid Saffire 56 has six award-winning Saffire pre-amps along with the two Liquid pre-amps. All eight pre-amps offer the same wide bandwidth philosophy behind the early vintage Focusrite units. Studio Quality 24-bit/96kHz resolution with JetPLL jitter elimination technology. VRM Virtual Reference Monitoring - enables the emualtion of different monitors and different ambiences via headphones so you can really test your mix! DSP-powered,recording and mixing tools including Focusrite EQ and Compression as well as reverb to place across your monitor mixes. Most vocalist will ask for reverb on their vocals whilst recording with many computer-based recording setups this is a big ask, bit with the Saffire Pro 24 DSP it's easy. Xcite+ Software Bundle included - this includes free loops and samples,a full-fledged Novation soft-synth and Ableton Live 7 Lite so you should have everything you need to start recording from day one! You also get Focusrite's VST/AU Plug-in Suite. So you can enhance your sequencer's effects using focusrite's very classsy sounding Compression, Reverb, Gating and EQ VST/AU plug-ins. Two headphone sockets - with two fully customised monitor mixes. Two high quality award-winning Focusrite mic-pres - Focusrite interfaces are always the best sounding interfaces in their class. High Quality 24-bit/96kHz Firewire Interface - Features professional conversion and JetPLL jitter elimination technology, guaranteeing pristine audio quality and reliable synchronization. Total I/O count of 16 inputs and 8 outputs- A host of i/o options are provided, including a unique loop-back facility for routing audio between software applications via Saffire Mix Control. Saffire Mix Control latency-free DS P Mixer/Router - This 18 x 8 DSP mixer provides truly-flexible routing and monitoring capabilities alongside intuitive one-click set-up solutions. Class-leading LED metering - 5-LED metering offers accurate viewing of analogue input levels direct from the front fascia. Focusrite VST /AU Plug-in Suite, for use in the mix - Upgrade your standard sequencer effects with Focusrite Compression, Reverb, Gating and EQ VST/AU plug-ins. Unmatched routing flexibility - Setup for any recording session quickly and intuitively. Route any input signal or DAW output, or a mix of both, to any of the outputs. The Focusrite Saffire Pro 14 is the latest release in the incredible Saffire range of audio interfaces, offering a variety of inputs and outputs that lend themselves perfectly to project studios.The Focusrite Saffire Pro 14 Firewire audio interface carries on Focusrites tradition of providing well thought out features at an attractive price point, often leading the pack in the price performance ratio. The Focusrite Saffire Pro 14 offers a total of 8 inputs and 6 outputs, including 2 award winning Focusrite Pre-amps,2 Hi-Z inputs, providing the means to plug straight in without the need for additional DI boxes,and MIDI I/O,allowing you to control your outboard Synths/devices with your sequencer and vice-versa.The combination of the 4 line outputs,a dedicated headphone socket,and the highly versatile Saffire MixControl software provides you with a variety of mixing and monitoring options that allow you to create several individual monitor mixes, or route hardware devices for outboard mixing purposes. These features come in very handy in both overdub and mixing sessions, making the Focusrite Saffire Pro 14 a highly versatile device for both recording and mixing. Two Hi-Z instrument inputsNo need for a separate DI. The first two channels feature high-gain instrument inputs. Bus-powered for a tidy mobile recording rigSaffire PRO 14 can be powered via FireWire, or via its own power supply. The UltraLite-mk3 provides flexible and mobile bus-powered operation, professional audio quality at samples rates up to 192 kHz and plenty of I/O, including two mic/instrument inputs,six line-level analog inputs, ten channels of analog output,stereo S/PDIF and a discrete stereo headphone output.Housed in a rugged, compact enclosure you can take anywhere, the UltraLite-mk3 is equally well-suited for studio and stage, with or without a computer. As an interface or standalone mixer, the UltraLite-mk3 provides 10 separate inputs and 14 separate outputs.Connect all of your studio gear, including microphones, guitars,synths, keyboards, drum machines,effects processors and even MIDI devices. Record, monitor,route and process all of these live inputs using the professional on-board CueMix FX digital mixer with no latency and no processor strain on your computer. Apply hardware DSP-driven effects processing to inputs, outputs,and busses independent of your host computer. Add Classic Reverb with lengths up to 60 seconds. Further sculpt your sound with 7-band parametric EQ featuring filter types carefully modeled after British analog console EQs. Choose between two forms of compression: a conventional compressor and the Leveler,an accurate model of the legendary LA-2A optical compressor that provides vintage, musical automatic gain control.After programming the on-board mixing in the studio,unplug the UltraLite-mk3 from the computer and take it on the road for operation as a stand-alone mixer with effects. All mixing and effects parameters are adjustable using the front panel backlit LCD.The UltraLite-mk3 provides cross-platform compatibility with Mac and Windows and all of your favorite audio software and host-based effects via WDM/ASIO/Core Audio drivers. Or you can use the included AudioDesk workstation software for Mac, with 24-bit recording/editing and 32-bit mixing/processing/mastering. The highly flexibleMOTU 828 mk3 Hybrid audio interface offers the ability to connect to your PC or Mac using the units included Firewire and USB 2.0 connections. The 828 mk3 provides ten channels of pristine 192 kHz analog recording and playback, this, combined with sixteen channels of ADAT digital I/O and stereo S/PDIF makes for a massively versatile audio interface that offers plenty of room for expansion.The Mark Of The Unicorn, or MOTU as they are commonly known,828mk3 is at home both in the studio and on stage, with or without a computer. It can easily and intuatively operate as a standalone mixer, providing 28 separate inputs and 30 separate outputs, including dedicated main outs on XLRs and two front panel headphone outs,all of which can be controlled by the on-board CueMix FX digital mixer. Hybrid FireWire/USB2 connectivity - connect to your computer via either bus-powered FireWire or hi-speed USB2. Two front panel combo jacks provide hi-Z 1/4'' guitar input or low-Z XLR mic input with phantom power, pad and plenty of gain. Mic/guitar instrument sends - add your favorite outboard EQ, preamp,reverb or other processor to the two mic/guitar inputs, before the signal goes digital. Precision Digital Trim - Digitally controlled analog trim on all analog inputs (mic/guitar inputs + quarter-inch TRS inputs) provides accurate adjustements in 1 dB increments. Fine-tune the balance of your analog inputs and then save/recall trim configurations. Flexible optical I/O - 16 channels of ADAT lightpipe,8 channels of SMUX (96 kHz) or two pairs of stereo TOSLink. Mix and match formats between the two banks. Separate XLR main outs and front-panel headphone jacks,each with independent volume control. DC-coupled TRS outputs - can be used with Volta (sold separately) to manipulate and sequence voltage-controlled modular synthesizers from a host DAW. Includes 32- and 64-bit native drivers for Mac OS X and Windows 7/Vista/XP, including ASIO, WDM, Wave, Core Audio,and Core MIDI. Supports all popular Mac and Windows audio software. Includes AudioDesk full-featured sample-accurate workstation software for the Macintosh with recording,editing, mixing,real-time 32-bit effects processing & sample-accurate sync. Front panel volume control for monitoring. Stereo, Quad,6.1,7.1 and user-defined surround monitoring setups available. International 100-240V,50-60 Hz autoswitching power supply. Chassis dimensions,excluding rack ears and front and back panel knobs and connectors: 19 7 1.75 inches (48.26 17.78 4.45 cm). Knobs and connectors extend up to 0.5 inch (1.27 cm) from front and back panels,adding 1 inch (2.54 cm) to depth. With rack ears attached, fits standard 19 inch (48.26 cm) rack at 1U high.